1.Heat oil in a heavy bottom pan. Add bay leaves,cardamoms,cinnamon and ginger-garlic paste. Saute for 2 mins. 2. Add onions,green chili and capsicum. Saute until onions are translucent. 3. Add coriander seeds,peppercorns,red chili powder,degi mirch powder,coriander powder,black pepper powder and salt. 4. Add the grated tomatoes and cook the masala until it leaves the sides of the pan. 5. 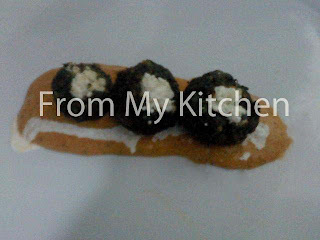 Once the masala is cooked,add crumbled cottage cheese and butter. Add some water if needed. Cook with the lid on for about 5 mins. 6. Add the cottage cheese cubes and mix with gentle hands making sure that the pieces of cottage cheese don't break. 7. Finish with garam masala and fresh coriander. 1. Boil the rice until properly cooked. Make sure each grain of rice is separate and not overcooked. 2. 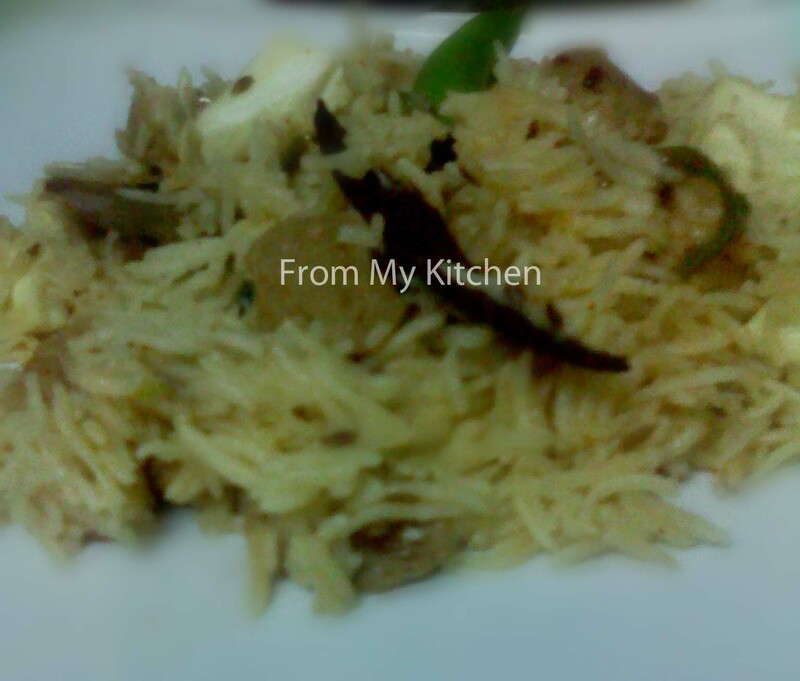 Add a pinch of salt and saffron milk to the cooked rice and mix thoroughly. 3. 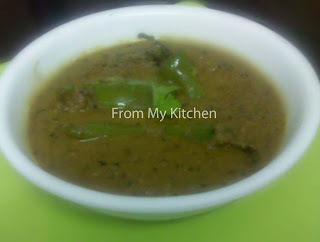 Heat ghee in pan, add cinnamon,tejpatta,cardamoms,ginger-garlic paste and saute for 2 mins. Add the sliced onions.capsicum,peas and soya chunks. Add salt and peppercorns and give a toss. Saute until the veggies are cooked. 4. Add curd and mix. Switch of the flame. 5. In a greased baking dish make alternate layers of rice and gravy, starting and finishing with rice. Bake the rice in a pre-heated oven (250 C) for 20-25 mins. 6. Garnish with roasted nuts and serve. P.S - You can add any veggies of your choice. 5. 100 ml fresh cream. 2. 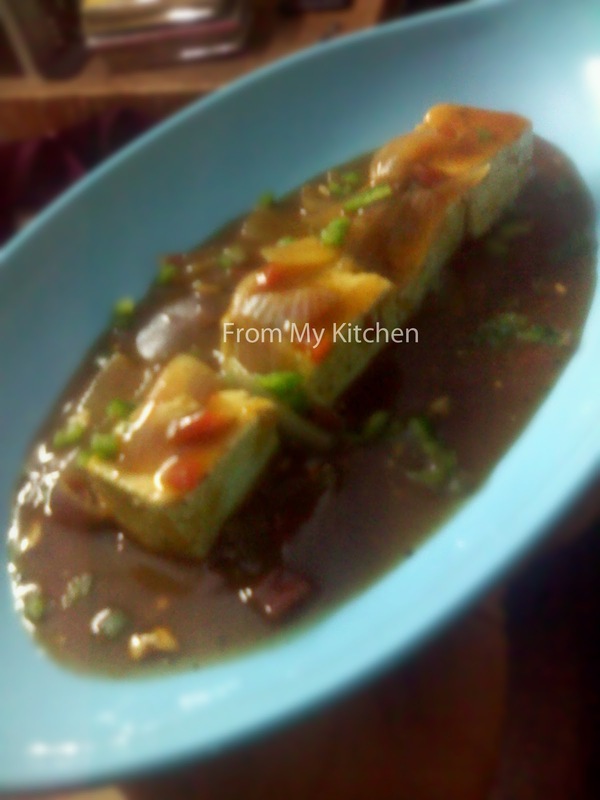 Crumble the paneer in a bowl. Add the spices of your choice and salt. 3. 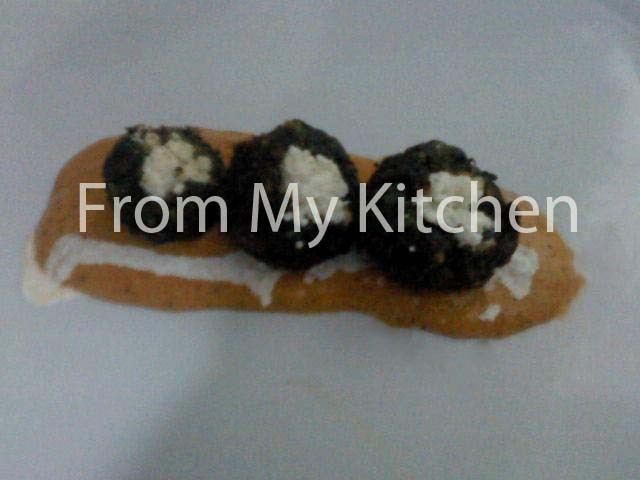 Make a flat circle from the spinach mixture and place some paneer on it. Now roll it in such a way that it forms a ball and the panner filing comes in between. 4. Deep fry the koftas until golden. Take them out on an absorbent paper. 1. Heat oil in a pan. Add the ginger-garlic paste,onions and tomatoes. Saute until slightly cooked. Switch of the flame and cool the mixture. 2. Once cooled blend the mixture with a blender to make a smooth paste (add water if required). Pour the gravy back into the pan and bring to boil. Add all the spices, butter and fresh cream. 3, Add the koftas and serve. 1. Pressure cook all the vegetables for 5-10 mins. Once cooked, mash the vegetables and keep aside. 2. Heat butter in a pan, add the ginger-garlic and onion paste and saute for 5 mins. Add red chili powder,black pepper powder,pav bhaji masala and salt. 3. Add the mashed vegetables and cottage cheese and cook on low flame for 10-15 mins. 4. 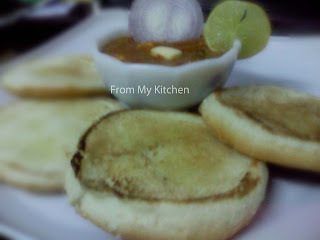 Roast buns in a pan and serve hot with bhaji. 1. Blend grated coconut,peanuts and sesame seeds with water to make a paste. 2. Make a slit on the jalapenos and shallow fry them for about 10-15 mins. 3. Shallow fry the onions until golden brown and take out on an absorbent paper. 1. Heat oil in a pan. Add all the five seeds (fenugreek,fennel,black,cumin and mustard), when the seeds splutter add ginger garlic paste and curry leaves,saute for 2 mins. 2. Add the sauteed onions, chili paste,red chili powder, black pepper powder, and salt. 3. Add the peanut paste and mix well. Cook the paste until it leaves the sides of the pan. 4. Once the masala gets cooked add the shallow fried jalapenos and 2 cups water. Cover with a lid and cook for 10-15 mins. 1. Heat oil in a pan. Add the onions, capsicum and carrot. Saute until translucent. 2. Add salt,pepper,chili sauce,vinegar,soy sauce and ajinomoto. Add water and cornflour paste and stir on low heat. 3. 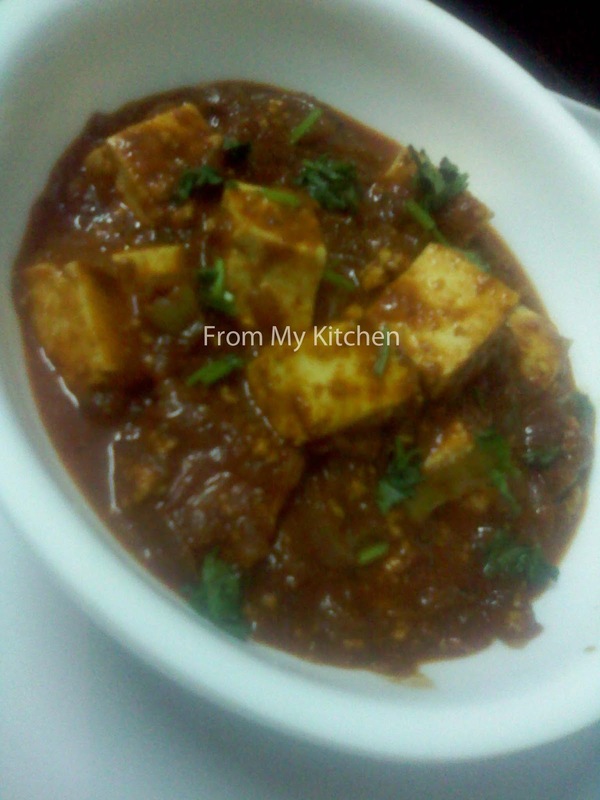 Add the paneer cubes and cook with the lid on for about 10 mins. Garnish with chopped spring onion and serve. 7. 2 tsp baking powder. 1. Combine all the ingredients of the pan cake and make a batter of pouring consistency. Let it rest for 15 mins. 2. Heat 1 tsp butter in a pan, pour a tbsp full of batter in the pan. Let it cook on low heat until bubbles appear on top. Carefully flip the pan cake and cook the other side for 2-3 mins. 1. Heat a pan, add strawberries, water and sugar in the pan and bring to boil. Reduce the flame and simmer for 15-20 mins with the lid on. 2. Mix the cornflour with 2 tsp water to form a paste. Add this paste to the strawberry mixture,stir. 3. Cool the sauce and blend with the help of a blender until it becomes smooth. 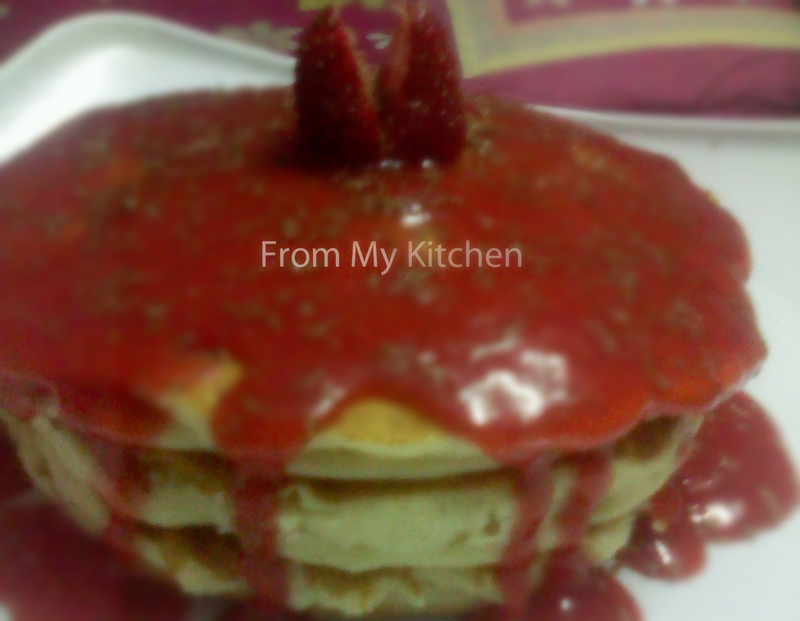 Pour the strawberry crush on hot pancakes and serve. 2. 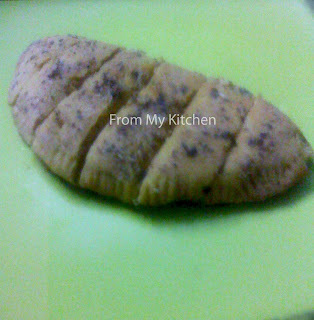 Roll out thick tikkis from the potato mixture. Coat them with cornflakes. 3. Deep fry them until golden. 4. Cut the buns into half and roast them. 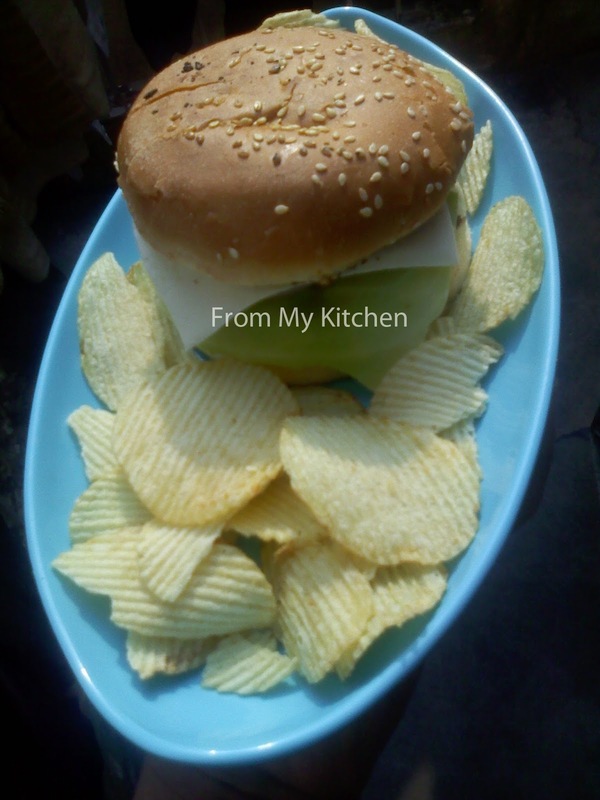 On one half of the bun place an aloo patty, a piece of lettuce, onion, cucumber, cheese slice and sprinkle some oregano. Cover it with the second half. 1. Peel and wash the potatoes. Cut the potatoes into finger sized pieces. 2. Add cornflour and 1 tbsp chili sauce to the potatoes and mix. 4. Heat one tbsp oil in a pan. Add the onions and capsicum and saute till golden. 5. Add chili sauce, tomato sauce, honey, ajinomoto, salt and pepper. Add the deep fried potatoes and mix. 6. 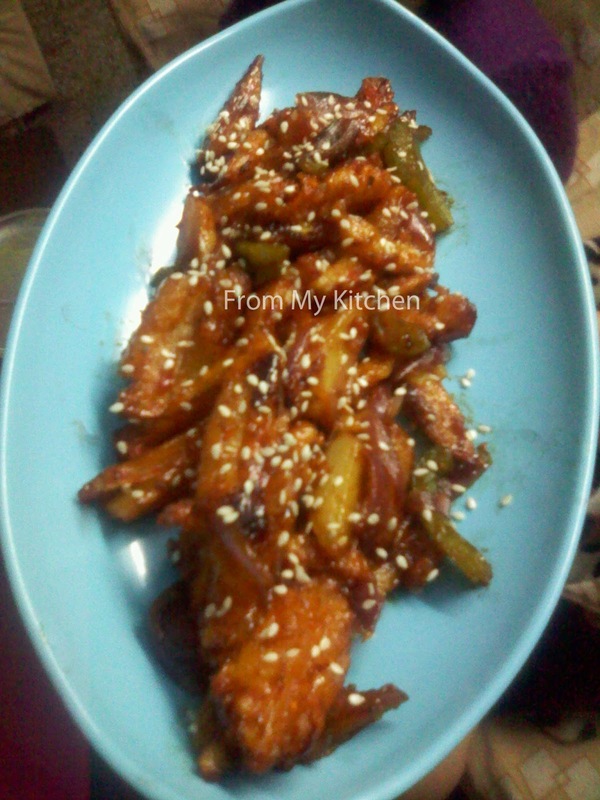 Sprinkle sesame seeds on top and serve. 1. Mix yeast and sugar in the milk and let it rise for 15 mins. 2. Sift together all purpose flour,wheat flour and salt. Knead a soft dough with the yeast added milk. Let it rise for 1/2 hour, it will become almost double in volume. 3. Melt butter in microwave, add chopped garlic,oregano, basil, salt and black pepper. 4. Roll out a circle from the dough. Spread the garlic butter on half of the circle. Fold it to form a semicircle and seal the edges. 5. Spread some garlic butter on top of it. Bake it in a pre-heated oven (220 C) for about 20 mins.